Ideal for any glamorous event is the Lotus Vibe handbag. 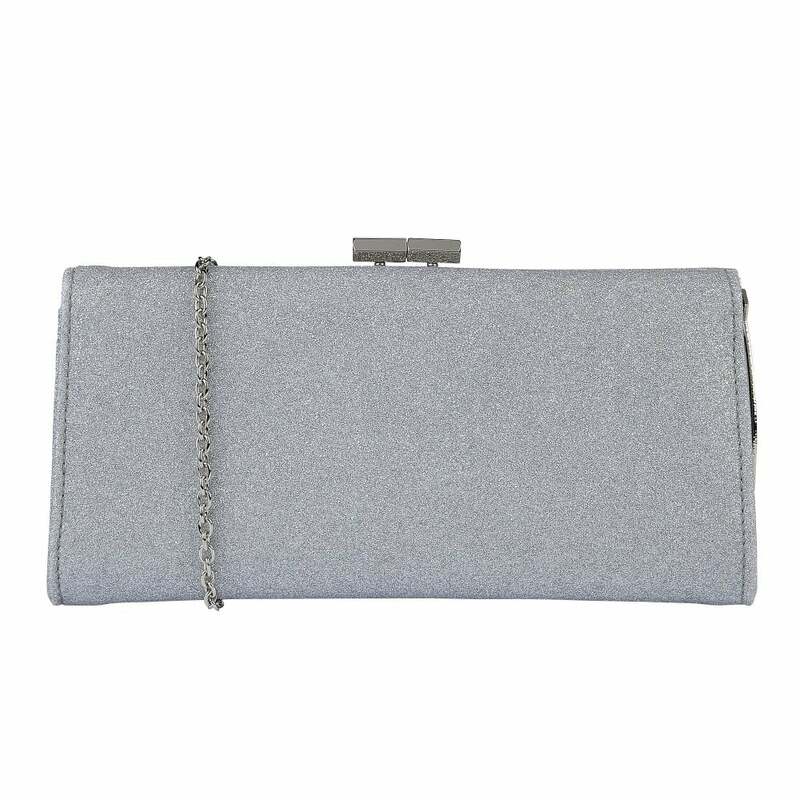 This silver glittery textile handbag encompasses a striking clasp fastening and a detachable chain strap so it can be used as a clutch or a shoulder bag. For a perfect put-together look, team this stunning silver handbag with the striking Lotus court shoe Sparkle.